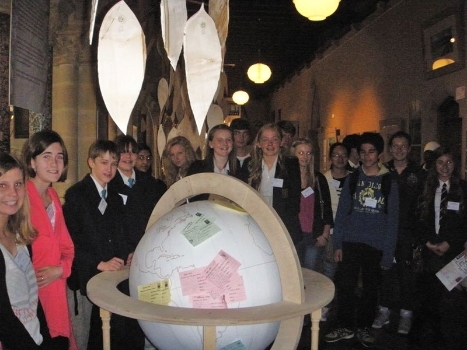 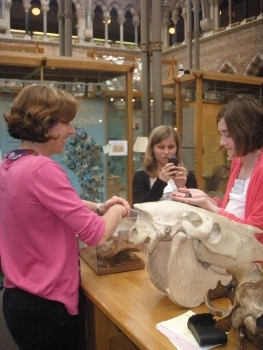 Students from secondary schools around the country retraced the route of the Beagle using the collection’s specimens. 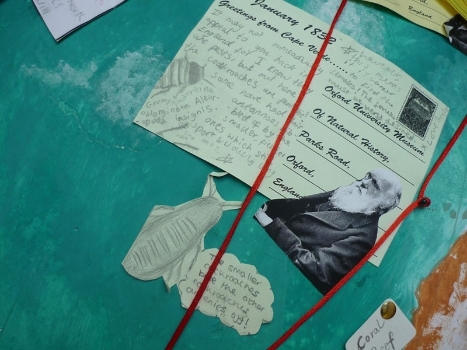 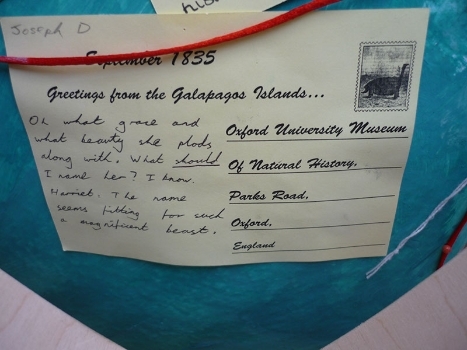 After examining animals that would have also been studied by Darwin, they wrote imagined postcards from Darwin, recounting his finds and thoughts to readers back home in England. 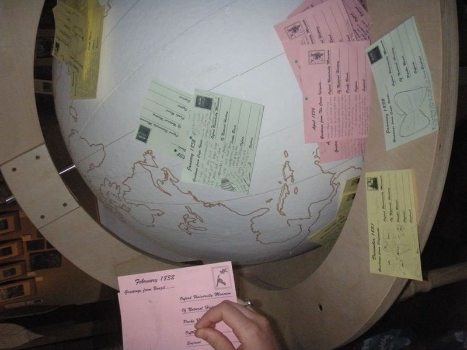 Each postcard was attached to the globe at the corresponding point along the Beagle’s route.